Whether your opening a new business or looking to replace an old copier or printer, our tips will help you place the right equipment in the right environment. The best answer to this question is to ask your accountant, period. Leasing can provide the means to acquire equipment but it can also turn out to be a disastrous if not properly thought out. Read our Copier Leasing FAQ's. This is critical to purchasing or leasing the right size equipment. We have helped numerous companies who have under estimated the amount of copies and prints that they would be producing. The most common mistake is running to the Big Box store to purchase a device "off the shelf." If you are going to purchase "off the shelf" please see below to avoid the most common mistakes. 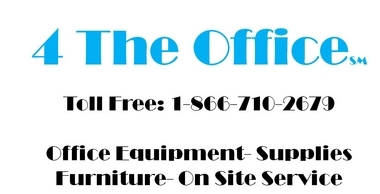 These devices are primarily made for home office or at best, very small work groups within an organization. If you have no idea on what your monthly volume will be, we suggest talking to an experienced dealer or someone in a similar industry about their monthly volume. Short term, you can always try renting a machine to avoid long term contracts while giving you more time to analyze your needs. Most of the equipment we sell or lease today is color capable. The reasons are, more in house marketing is taking place, color is being used more than in the past and smaller color capable machines can be expensive to maintain and operate. The best way to place a color capable device is to monitor usage closely. Every manufacturer today has some method of tracking, monitoring or limiting color usage by users. When properly monitored color can be an effective way of communicating to your customers, prospects and employees. Additionally, always make sure the device is defaulted to black and white for copying and printing when set up and on the network. Many devices are factory set to print in four color black, which is why you may be going through so much toner when most of what you are producing is black and white only. 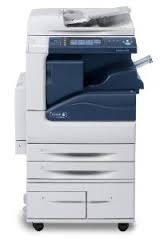 Are you looking to copy, print, scan and fax? Do you need two sided copying and printing? Will you need an automatic document feeder? What is the largest paper size you will require? Do you want to have the ability to staple documents? Will you require color copying and printing? How many paper drawers excluding the manual or stack bypass will you require? Do you know your estimated monthly copy/print volume? Will you be purchasing a maintenance contract? Purchasing a machine "Off The Shelf"
The most common mistake when purchasing a machine off the shelf is not knowing how much the device will cost you to operate. The basic formulas below will help you calculate your cost per page and your estimated monthly operating costs. Cost of a Cartridge/Manufacturers Yield= Your cost per page for one black and white page. Cost of a Black Cartridge/Manufacturers Yield= Your cost per page for one black and white page. Cost of a Cyan Cartridge/Manufacturers Yield= See below. Cost of a Magenta Cartridge/Manufacturers Yield= See below. Cost of a Yellow Cartridge/Manufacturers Yield= See below. Your cost for one color page would be Black + Cyan + Magenta + Yellow Costs Per Page= Your Color Cost Per Page. Your cost for one black and white page is .026 or 2.6 cents. Your cost for one color page is .1295 or 12.95 cents. These costs exclude maintenance items, parts, and labor should the device require them. Toner yields are based upon 5% coverage or fill which is not a lot of print on the page. If you anticipate more coverage on the page you may want to consider reducing the yield by 15 or 20%. What will my monthly costs be to operate this unit? It is not uncommon that many of these devices can end costing hundreds of dollars per month more than a more suitable device from a dealer. Even though the device from the dealer may end up costing more to purchase the operating cost may be much lower over the life of the unit. Anticipated monthly black and white volume is 1,000 pages per month. $300.00 off the shelf device producing 1,000 pages per month with a toner cost per page of 3.5 cents per page. 1,000 pages x .035 = $35.00 per month. Plus any additional costs related to maintenance or service. 36 Months x $35.00 = $1,260.00 over 36 months. $800.00 device from a dealer. 1,000 pages x .017 = $17.00 per month and includes all toner, parts and labor. 36 Months x $17.00 = $612.00 over 36 months. The reason the Total Cost of Ownership is lower when comparing the Dealer device is that these devices often have lower operating costs than off the shelf devices. Additionally, with the service and supplies included in the cost per page from the dealer, you have piece of mind in the event service or maintenance is required. No matter what route you decide to go, ensure that you have done your research and followed the above steps to ensure you have a cost effective and properly placed device. The above methods are for small or start up companies as larger needs require much more analysis. We also encourage you to get competitive quotes from a dealer in your area, comparing them to the off the shelf devices. If we can assist you in the process, please feel free to contact us with your questions.